Australian involvement in Afghanistan began with Prime Minister John Howard invoking the ANZUS Treaty in response to the Al Qaeda attacks of 11 September 2001. On 7 October, Australia's contribution to Operation ENDURING FREEDOM, Operation SLIPPER, began. An interim government was established in Kabul on 22 December 2001 after the removal of the Taliban, which had provided protection and support to Al Qaeda. 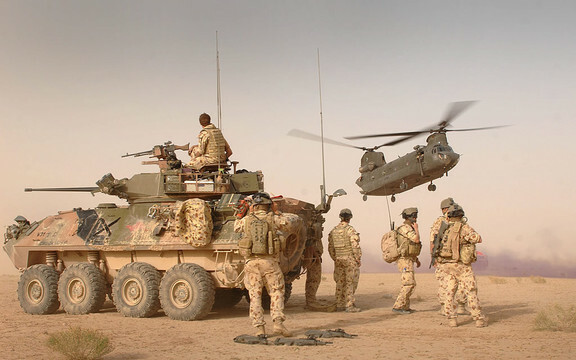 From November to April 2002, Australia provided SAS support through reconnaissance and surveillance in the hunt for Taliban and Al Qaeda, in the region south of Kabul. In addition to SAS, Australia support in this region has included engineers involved in reconstruction and maritime operations. Although the initial conflict ended in 2002, Australia continued to supply troops to the region. Forty-one Australians have been killed between 2002 and the conclusion of Operation Slipper in 2014.